Debby’s mission and desire as a Jewish Educator is to teach students to love and embrace Judaism as lifelong learners. As a Jewish Educator, her personal aspirations are to implement the values, ethics, rituals, and tenants of our people so that students are compelled to continue the chain of Jewish living and knowledge that our ancestors have given us. In order to accurately educate and facilitate a love for learning in our students, she believes it is imperative that she, too, be a lifelong learner. She learns to teach and teaches to learn. As a full-time teacher in the public schools, she is blessed to participate in constant ongoing in-service learning and professional development. 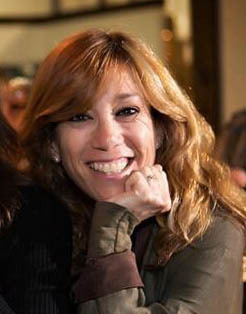 The methods of classroom management, interactive learning techniques, inclusion of special needs children, sensitivity to bullying, fundamentals of reading instruction, and awareness of diversity, directly apply to her Jewish teaching at Temple Solel. The Jewish workshops she has taken have provided her with knowledge of God, Israel, and Torah.